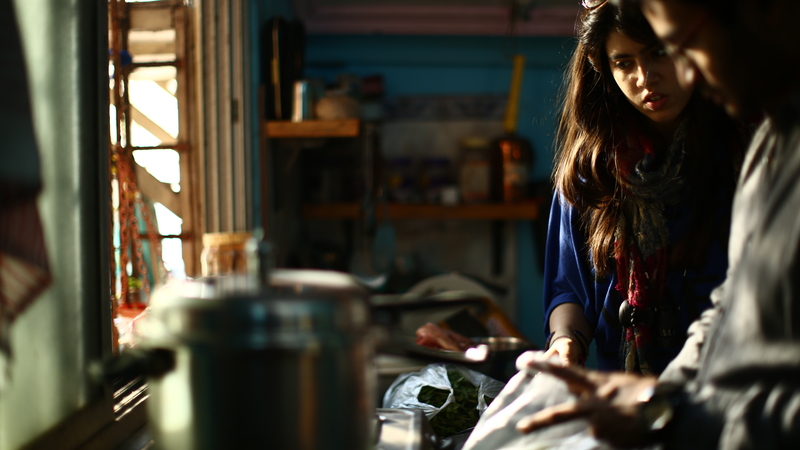 Maaria Sayed’s film Aabida is screening as part of the EXPECTATIONS session at 9.10pm on Thursday 28 November. We caught up with her to ask some questions about it. How did you go about making the film? Making this film meant a lot of research, sometimes under cover as it is tough to walk around without attracting attention, especially with a camera. 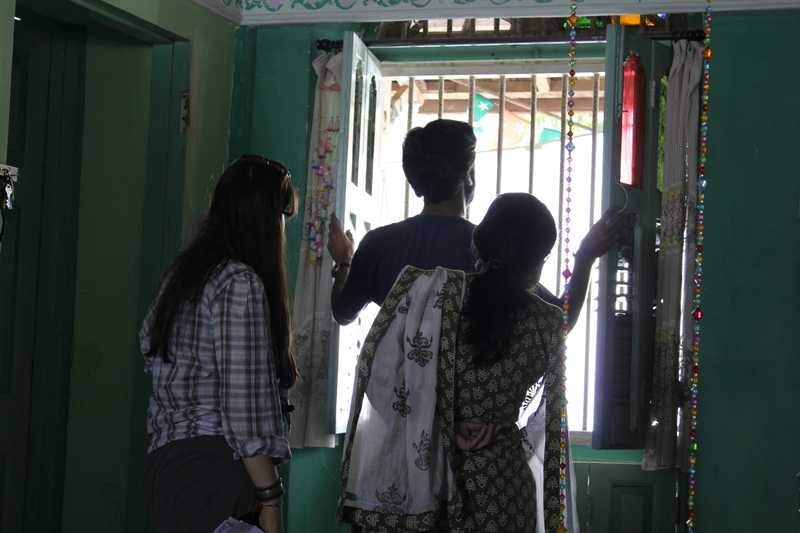 I was out every day in the areas, entering houses of random people I met on the street and had a lovely crew who was co-operative and believed in the film and the topic. So that gave me the required push to go on. What was your motivation for choosing this subject? I am an Indian Muslim girl. I have relatives living in such localities and in general I really felt the need to have a protagonist who is not particularly special in anyway and give a voice to a woman who is often left unheard. 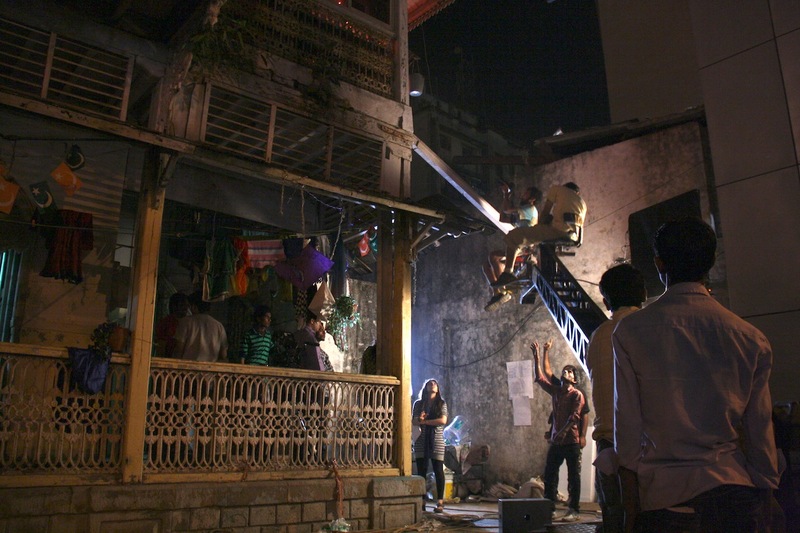 I somehow knew making this film wouldn’t be easy, especially dealing with the life of a woman, a wife – and 26/11 as a backdrop means dealing with something that haunts my city to this day – I had thoughts at points to just make a simpler story, but then again this particular issue has always bothered me and I knew if I made any other film at that point I would not be totally honest with what was my driving force. 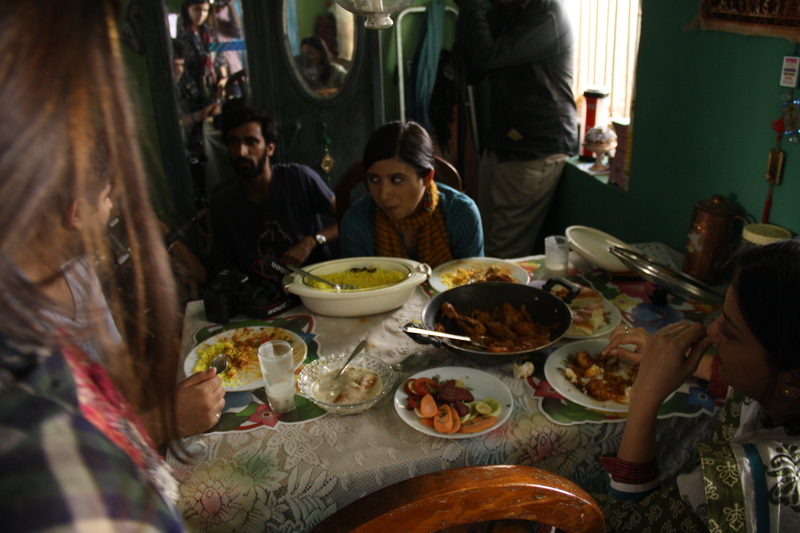 What were the challenges you faced in the making of Aabida? I think I could speak endlessly about that. For starters, it was the topic. An issue of such sensitivity needs immense responsibility. I was very careful about religious sentiments, political provocations, and knew I was walking on a very fine line. So yes, throughout the process I was afraid. 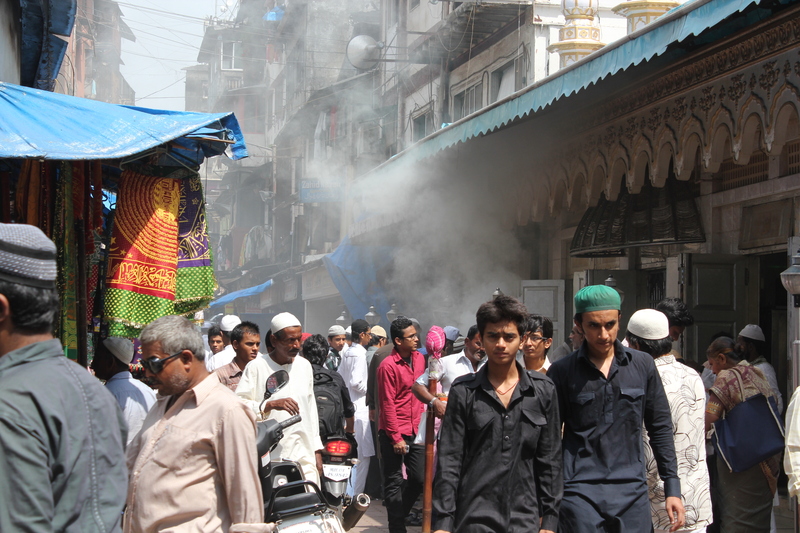 And then of course the locations – the dargah (mosque) and generally the locality. Shooting in a crowd of hundreds of people. At times it was guerilla, at times immaculately planned and at times with no plan – we needed the bravery to execute it when we had cops stopping us or points where little kids had fun by throwing stones. But what I tried to maintain at every stage was the sanctity of the religious and cultural sentiments as I wanted these to come out in the correct light. As among all the hullaballoo in the areas, there is something deeply spiritual – I could feel Sufism there. I could just say this was a genuine attempt and hope people who watch it see that. What projects or plans do you have lined up next? At the moment I am living in Singapore working as a Writer and Director for a company that produces various documentaries for Discovery, Nat Geo, and various other shows. Alongside that, I am developing a script for a feature to be shot between London and India. I expect this research and writing to take two years. It’s a personal film and I’d like to give it that authenticity and time. My background is not cinema. It’s literature, art, and theatre. I got into films simply because I wanted to reach out to a wider audience base and looked for an art form that combined everything I was in love with individually. And my respect for great cinema grows with every passing day. So that is how I know this is what I always want to do and hope to keep learning from the masters in the field. The film is set in Mumbai after the 26/11 terrorist attacks and the main character, Aabida, struggles with reconciling her inner world with a difficult external reality. Was it your intention to explore this as an issue that many women can relate to? I think in all societies, well especially where I come from, being a woman means a lot of things. Unfortunately in many cases it ends up being daughter, wife, and mother. While I do believe these are beautiful relationships I do also think a woman is constantly battling to assert a personal identity, one that is not linked to a male relationship. And that is what I tried to connect to in Aabida. So yes, it’s definitely an internal turmoil which is reflected in her everyday monotonous activities like cooking and answering condolence calls. So yes there is a world out there filled with politics, hypocrisy, religious and communal divides, and then there is the heart of the protagonist who simply wants to find her own space in all these complicated terminologies. Do you have a favourite feminist film? Generally I’d not use the word feminist. I’d just say some films resonate more with the sensibility of women. There are plenty but something that comes to my mind instantly is Moolade by Osmane Sembene, a filmmaker I have a lot of respect for. It’s not for the technicality or novelty of approach, but simply because it’s an honest yet beautifully constructed narrative about an issue as complicated as female genital mutilation.